Filed to: What's in a name?Filed to: What's in a name? Some adventures cannot begin without naming your character. It’s when Final Fantasy Clouds can be Squalls. Or Freds. Some games provide the option to change your character’s name at the start screen. Others integrate protagonists’ intros and renaming prompts in clever ways. These five games do the latter. In the underappreciated PlayStation game, Wild Arms, treasure Hunter Jack and his pal Hanpan are confronted with an encrypted monument upon entering a temple. In order to bypass the security, Jack is prompted with a question asking if he’s the keeper of the Memory. That’s when the game gives you the option to rename yourself. Pretty cool, right? Of course, whatever name you choose is the wrong ‘password’ and this initiates a trap sequence—Indiana Jones style. Whether you respect Tony’s wishes by having Jeff survive the subsequent kraken attack is up to you, yes you—the player. Yep, the same one holding the controller. Stories told by Cartman never end well (see: the Woodland Critter Christmas). As the New Kid in South Park, thrust into a game of wizards and saving the world, your role is great. Your coming was foretold and your presence can sway the outcome of the war. Or so we’re told. By Cartman...hrm. Anyway, that’s a lot to take in. But for one so talked about, the South Park kids still need you to introduce yourself. But what good is a regular name when you can be Douchebag. No, really. 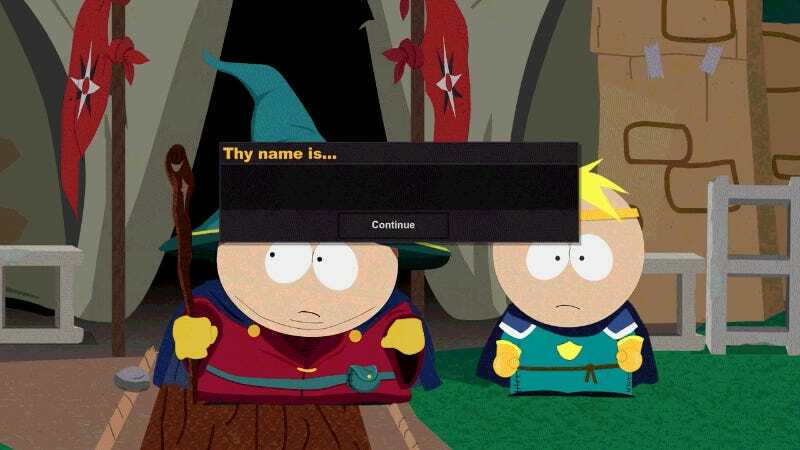 Even if you wanted a normal name, if Cartman deems you Douchebag, so be it. Blitzball star, Tidus, can be Blitzball star Luigi, if you wanted him to be. Or any [insert name here] name really. The hotshot Zanarkand Abe has adoring fans waiting for him before the game’s opening blitzball match, and he’s the sort of celebrity who doesn’t brush off his followers. He believes his own hype. When asked for autographs he’ll give them. And on the first blitzball he signs, that’s when the name prompt screen is given. You should be careful with that name though—gotta keep up appearances. But it should be alright. In today’s pop culture world, the public is very into scandals, and scandals keep your stardom relevant. 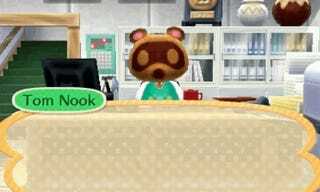 There are people out there who think Tom Nook isn’t shady. They may think he’s even a good guy for providing you a home loan that’s relatively easy to pay off, and without sending you bills or collectors at your door. But let me clear something up—Tom Nook is still the worst. Any tanuki who employs you and can’t even remember your name on the first day of the job? Because he’s too concerned with his precious golf game? The absolute worst. It’s a great way for players to input their names, but it still hurts feelings. If you can think of any other fun introductory name prompt screens, I’d love to hear them!